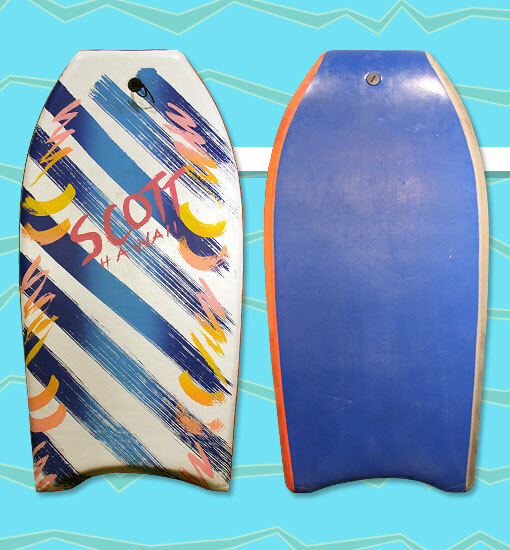 A year or two after introducing a vinyl-decked model with wild graphics, Scott Hawaii changed the name from "Newtech Jammer" to simply "Graphics". The funky graphics showed improvement in visual appeal as compared to the more primitive, cheesy graphics found in the Newtech line. The graphics were printed on vinyl, which was laminated on top of a layer of high-density polyethylene. Other features of the Graphics line included a fiberglass stringer, Speedskin bottom, and two-tone rails.